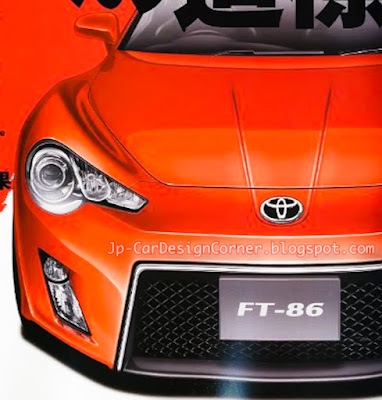 日本自動車デザインコーナー 「Japanese Car Design Corner」: Latest impression of new FT-86 by Mag-X! Latest impression of new FT-86 by Mag-X! The latest Mag-X issue has a rendering of the highly anticipated FT-86 on the front cover and it is the latest impression coming from Japan. Stay tuned for more photos and info!